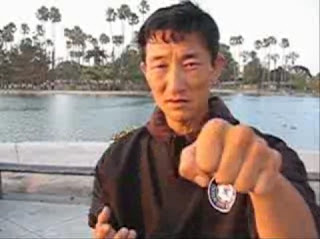 Five years ago I did a piece on countering kote gaeshi - the wrist out turn. In the intervening time I've learned a lot more about thwarting or converting this lock, so I thought I'd share this with my readers. 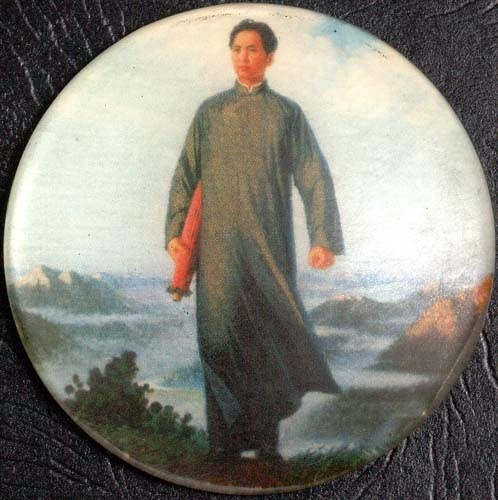 Some of the techniques have already appeared in my recent series on taijiquan qin na, but I thought I'd do a kind of summary of the additional defences against this simple, but potentially devastating, small joint attack - all in the context of my last taiji qin na essay. In my first kote gaeshi article, two of the options involved falling out of the lock. I don't propose to go over that ground again but I encourage readers to revisit that piece if they are interested. The third option involved a counter-lock that I have recently identified as an application of the move "cloud hands" in taijiquan. Back in 2010 I had also identified it as an application from baguazhang. Essentially you can see it in action in the adjacent gif. My earlier article on kote gaeshi, my recent piece on "cloud hands vs repulse monkey" and the video below discusses the issue in detail. The truth of the matter is that you don't need something as elaborate as the above counter to escape kote gaeshi. Coud hands offers a rather more simple remedy: just twisting out as your opponent starts to apply it. "But," I hear you ask, "won't that mean a nasty wrench of your joint against the direction of the force being applied?" Not necessarily - if you follow the cloud hands technique, as the adjacent gif illustrates. From that gif you'll notice that when the lock is applied, you can use the free arm to push your attacker's twisting arm down and around your body. This releases the pressure of the lock temporarily and permits you to raise your elbow and twist it around - exactly as you would in the cloud hands maneuver. Some of you may also recognise the beginning of the "teacup exercise" (where you hold a teacup out on your palm and swivel it around your body without spilling the tea). I first did this exercise with Bob Davies in 1988 after one of his Taiwan visits, but more recently I remember practising it with Master Chen in 2011 - much to his amusement as my cup went flying and tea spilled everywhere! Obviously, the escape in this case doesn't bother keeping the hand flat like in the "teacup hold". But if you try it, you'll see that the same shoulder and elbow action - and the same circular movement - are being employed. "What would you do if I punched you in the face? Once a technique is properly applied, the time for an "antidote" is over. You need to intercept it before it is properly applied. 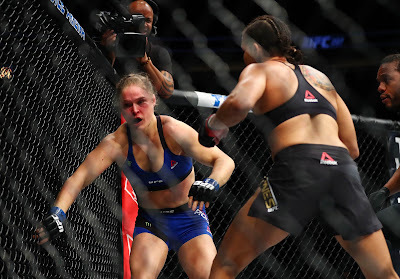 After that it is too late - whether it is a punch or a lock. Both are attacks. You have to intercept attacks before they land. Just because it is a "lock" and not a strike makes not one iota of a difference." The obvious answer to a kote gaeshi is not to let it get to the point where you have to fall or roll out of it - whether onto the ground or into a counter-lock. If you can manage to do so, this "slip out" is the simplest (and therefore the best) breakout of the kote gaeshi. Above all else, you need to catch the lock early - as it is starting to be applied. twist up their own elbow as soon as possible. You can't do (2) so well (if at all) without doing (1) first. That's the secret of this application of cloud hands. 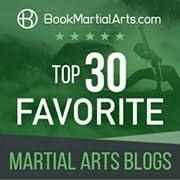 Once you have understood this concept, you can easily transform the technique into a "rolling partner drill" where you escape from a kote gaeshi and apply one to your partner, who does the same, and so on (see the above gif). Again, the above video provides further detail if you are interested. Curiously, cloud hands has another escape, operating with exactly the same movement but using the other arm to lock or depress (as the case requires). 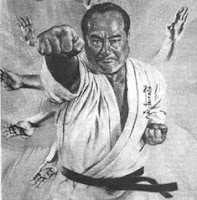 In this respect, cloud hands can be used very effectively to counter the movement known in aikido as "sankyo". Once again, the video above explains the intricacies of the technique and I won't try to duplicate the discussion here (I'd have to crop far too many stills and write a whole lot of what the troll known as"Ben" recently called "blah, blah"). Instead I'll let you watch the above gif and note how your "rising" cloud hand is disrupting your opponent's "sankyo" lock (applied by the twist in his lower hand) by pushing around and up on his forearm. Your rising hand then catches his wrist and you apply a sankyo of your own. And so it goes. Again, you can set up a "rolling drill". But all this is too "easy" and "unimpressive". Can't we get to the "good stuff"? Okay - here are two "more exciting" defences against the wrist out turn. And just for fun (and because I said I would) I'll show how these applications come from karate as well as the internal arts. In my article "Slanting flying vs cloud hands" I said you could avoid the entire "duel" I'd set up and go straight from the opening gambit - the wrist out turn - to slanting flying. The adjacent gif illustrates how, as the lock is applied, I skip into position, bump Armando's throwing arm and body, then uproot him with a throw. The key here is using the "slanting flying" movement as the lock is being applied - not after it has reached the critical point. As I discussed at my most recent class, it is vital to step up with your rear leg right next to your front leg, then propel that front leg behind your opponent's body. 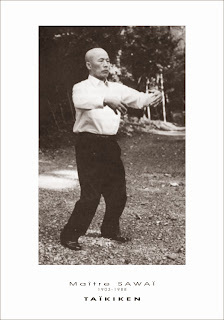 Those who practise xingyi will recognise this identical move in the snake form (at least, in the Chen Pan Ling system they are virtually indistinguishable, particularly in application, showing that the "internal arts" really are "internal" to one particular family - ie. they are related arts in a technical sense). Okay, but what of the karate version? Well it just so happens that the week before my brother was demonstrating the same application - but this time from the goju ryu karate kata Shisochin. 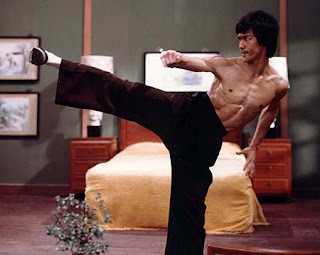 It uses what is essentially the same dynamic: a shuffle up of the rear leg to the front, a projection of the front leg behind the opponent and an arm that swings out to uproot your opponent. Yes, the kata works in forward stance with a different hand and arm shape - but both are a product of the other: you change one detail (eg. the stance) and you have to change the angle and plane of movement of the arm - and vice versa. The second of the "good ones" is a rather more complex (and painful) option - even if it doesn't look quite as impressive as something that throws you. I'm going to start with the karate version first for a change. 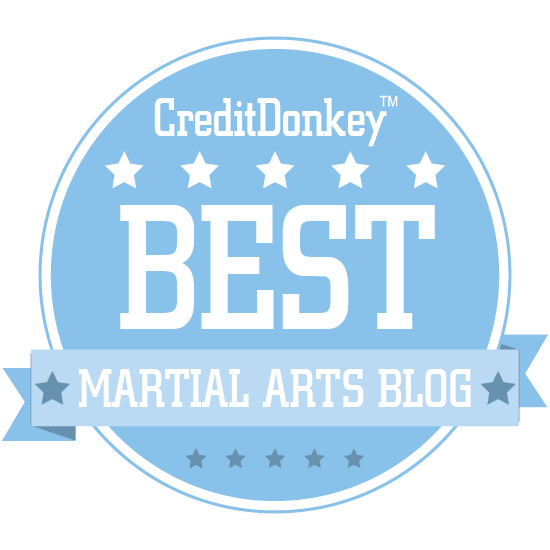 It's from the goju kata Seiunchin - it's opening move (which involves raising your hands in an inverted way, grabbing, and twisting downwards, followed by a scooping forearm movement and an inverted knife hand thrust. The way it is applied is to intercept the hand that is twisting yours - and then twist that instead. Obviously you have to catch it early. Your other hand can simultaneously twist his other wrist (albeit in a weaker lock). Your opponent can pull out of these but all this is actually a step up for an elbow smash - which he can evade but is in turn set up for a shoulder lock using an underarm elbow lever. From there the kata uses a strike to vital regions - perhaps the groin - using an inverted punch or a knife hand thrust or grab to the groin. What of the internal arts version? 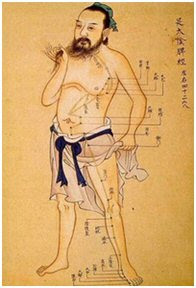 Well when I was "growing up" my sensei always told me that Seiunchin had movements that might have been descended from xingyi. I can see he might well have been correct. 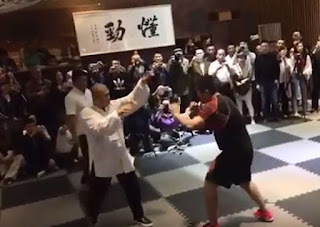 Xingyi's "pi quan" (splitting fist) has almost the same application - albeit the movements are shown using fists and single knuckles to strike vital regions (not fingers). The most interesting feature for me is that the palm depression on the shoulder (applied as part of the movement but not featured in the kata as a separate technique) is very distinct here. Take a look at the adjacent gif and you'll see what I mean. The video below discusses both of the internal versions of the "good ones" above, albeit towards the end of the video. An analysis of both approaches provides, I believe, a greater insight into the applications generally (as does any comparison of different perspectives)! "You can't please everyone, but you've got to please yourself." I've "pleased myself" only in the sense of trying, in limited time, to treat this complex topic as comprehensively as possible (with a bit of a rant thrown in somewhere in the middle) in the hope that it will be useful to someone (other than people like Ben) as a detailed reference and resource. Clearly there are countless other qin na applications I could have shown. But my time is limited and I just film what comes to mind during class - if I remember. Then I write it down when I get home as fast as I can. So if I didn't get to your favourite move, drop me a line. There's always next time.